“Oh! 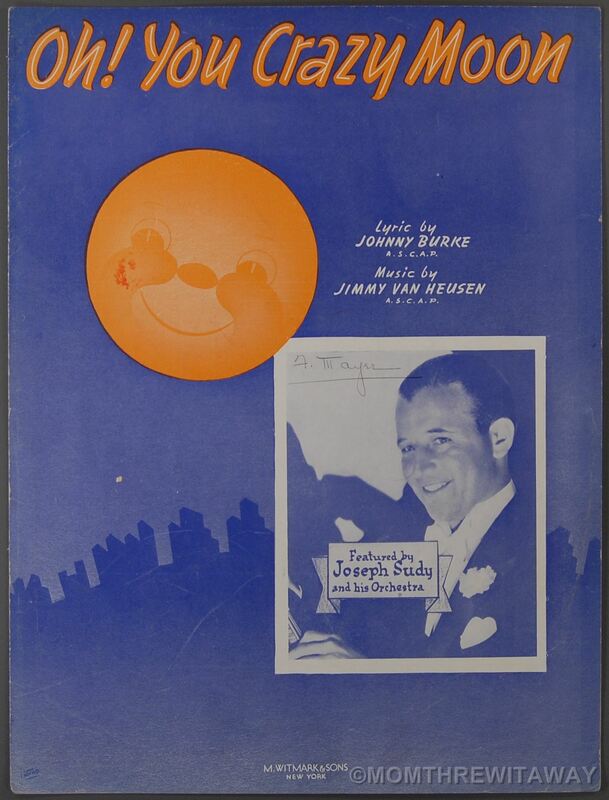 You Crazy Moon” was the first song that Jimmy Van Heusen and Johnny Burke wrote together in what would be a long and successful partnership. The bouncy, uptempo song gained immediate popularity and was widely recorded. “Oh! You Crazy Moon” was recorded on February 6, 1964 and released in 1964 on the album When Lights Are Low. It was arranged by Ralph Sharon.